Taste Contemporary presented En Route - a solo exhibition of work by Dutch artist Babs Haenen - in September 2018. A graduate of the Rietveld Academy in Amsterdam, Haenen’s porcelain vessels and sculptural forms possess expressive and impressionistic qualities where colour, line, movement and form all play an equal part. 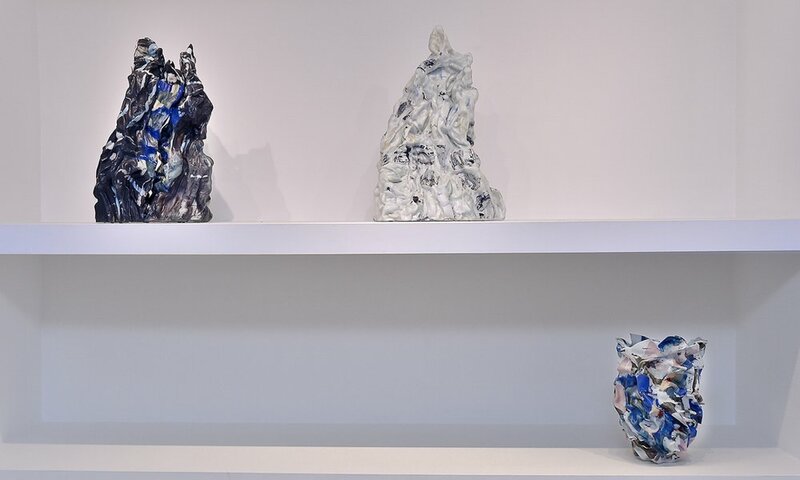 The ceramic work of artist Babs Haenen is typified by expressive and impressionistic qualities where colour, line and form all play an equal part. The painterly way in which she adorns her vessels demonstrates the way in which abstract painting inspires her; landscape motifs, such as rippling water, are recurring themes too. To build her vessels Haenen works with coloured porcelain slabs which she manipulates by hand. 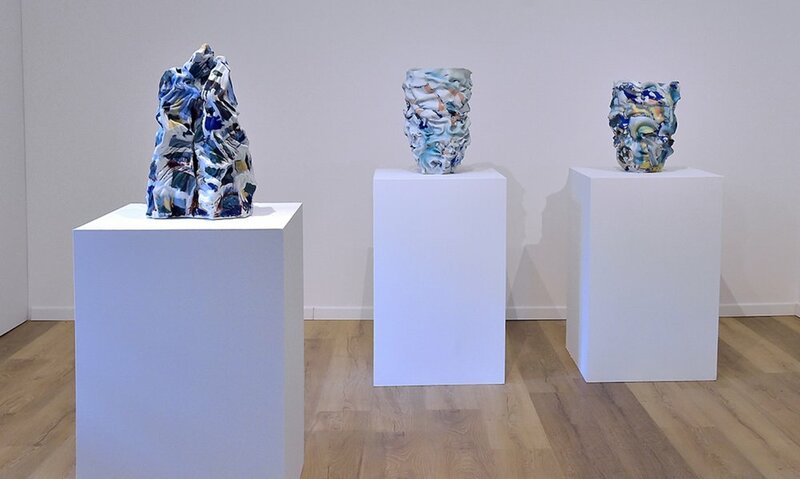 The slabs are coloured with pigment and rolled to form thin ribbons which are deftly folded, cut and sculpted to form expressive, tactile works with a strong sense of movement; the notion of the vessel, be it a bowl, vase or plate, is all but left behind. Haenen is a graduate of the Rietveld Academy in Amsterdam. She has taught extensively, won a number of prestigious awards and has undertaken several high profile, public commissions in The Netherlands. Her work can be found in the permanent collections of museums including the Stedelijk Museum, Amsterdam, Boijmans-van Beuningen Museum, Rotterdam, Carnegie Institute Museum of Art, Pittsburgh, Cooper-Hewitt Museum and Museum of Art and Design, New York, Museum of Fine Art, Houston, Museum of Fine Art, Boston and the Los Angeles County Museum of Art.